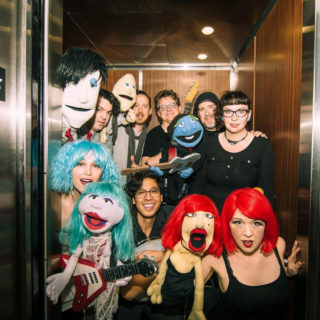 Fragile Rock is the world’s only emo puppet band and has starred in their own NPR Tiny Desk Concert. This 8-piece band of puppets, musicians, and singers and comics launched in Austin, Texas in 2014. They are very real and very felt. Fragile Rock’s live shows are wild and unpredictable earning growing media buzz from NPR, SXSW, Nerdist, Yahoo Music, Variety, and many others. Let the Fragile Rock in and prepare yourself for the puppet pain.